Tags: anatomy, biology, disease, Ever Wondered? We all do it, one time or another. You blow your nose for what must be the hundredth time that day. Before you throw out the tissue, you take a surreptitious glance inside. Rather than the usual clear or slight yellow, you see something different. Something green. Suddenly, your snot resembles the color palette of an overly ambitious landscape architect — lime, olive, even a speck of chartreuse. 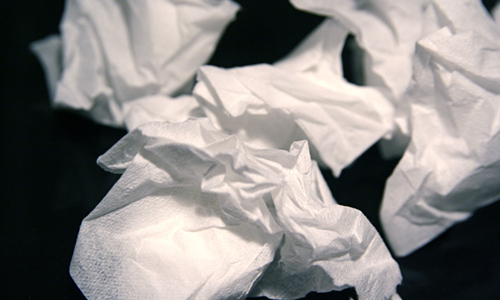 Tossing the tissue in the wastebasket, you wonder: Why has your snot turned green? You’ve been fighting your sickness with decongestants and hot tea. But your immune system has been fighting it with neutrophils, the body’s most common type of immune system cell and your first line of defense against infection and inflammation. In this case, the neutrophils have gathered in your nasal mucus to combat infection there. By far, the most plentiful enzyme within a neutrophil is myeloperoxidase. Myeloperoxidase has a lot of iron in it, and in the environment provided by the surrounding snot, the iron turns a green color. After they’ve been fighting infection for a while, neutrophils fall apart and spill their myeloperoxidase into your mucus, Malech says. “Once the myeloperoxidase is released, the green color for some reason becomes more prominent than when it’s in the cells,” giving your snot that verdant tinge. This only happens when your nose is running for certain reasons, says Carol Shoshkes Reiss, a New York University microbiologist who studies the immune system. “You don’t see it with an allergy, and you wouldn’t see it with just irritation, like how some people sneeze when they see the sun,” she says. “But people often get that kind of response when they have an infection” in their sinuses or upper nasal passages. Does this change in coloration mean you should call your doctor for an antibiotic? “If all you see is leaky clear stuff, you probably don’t need an antibiotic,” Malech says. “But if it turns green, that’s an indication that you might have a bacterial infection and need antibiotics.” When your immune system is already weakened from battling a cold, it’s much easier for disease-causing bacteria to set up camp, leaving you with a secondary infection such as sinusitis. Green snot alone isn’t enough to warrant antibiotics, Reiss cautions, because it’s sometimes caused by a virus rather than bacteria. 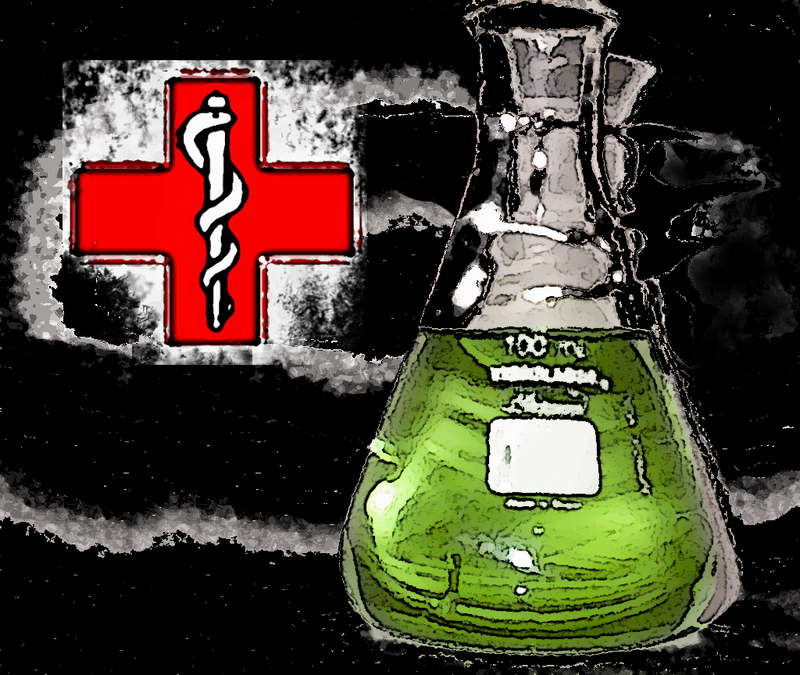 Antibiotics don’t work against viruses, and widespread prescription can lead to drug resistance. “It depends on the quality and quantity of it,” she says, and whether you have other symptoms like swollen lymph nodes, a fever, or a feeling of all-around rottenness — all things that might point to a bacterial infection. Otherwise, stick with drinking hot tea and — don’t be embarrassed — inspecting your tissues. If someone catches you at it, just say you’re checking on the myeloperoxidase content. This month we are going to discuss poop. Many don’t really pay attention to what is coming out the other end. Shocking, I know. What your stool looks like is an important indicator to what is going on in your digestive system, as well as your overall health. So what does a healthy stool look like? 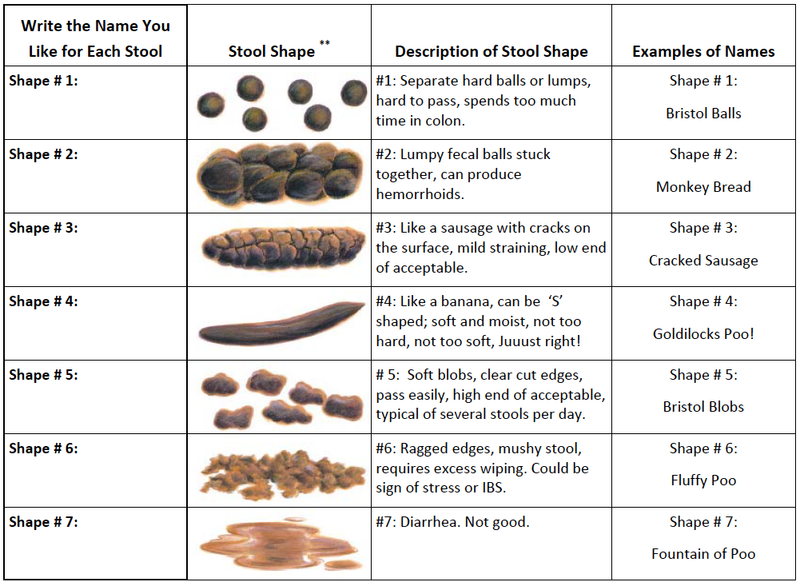 Typically, a healthy stool is medium brown. This is in large part because of bile. Bile is formed in the liver and secreted by the gallbladder, is incorporated into the food that you have eaten to aid in digestion. Bile is actually dark green in color, but as it travels through the intestines its color changes, most often resulting in the characteristic brown stool. A healthy stool should have the form of a sausage or a snake, and have a smooth texture. Lets focus on bowel movements that are deviations from normal. Keep in mind that medication and some foods can change the color of your stool and must be considered before thinking that there is something wrong! There is a range of ‘normal’ when we are talking about what your stool should like and most often, an isolated incident of deviation from normal is not cause for alarm. Generally speaking, If it happens multiple times, or there is a significant change in bowel habits it should be investigated. This color guide can help bring some clarity to what deviations from normal can mean. Tarry/ black: This could indicate a bleed coming from the upper part of the digestive system, namely the esophagus, stomach or the upper part of the small intestine. This is because The blood is reacting to the digestive enzymes in the small intestines. There are other reasons for very dark brown/black stool that you should be aware of. Iron supplements, supplements/medications containing bismuth (Pepto-bismol), activated charcoal can all turn your stool very dark, which is not an indication of a problem. Discontinuing the culprit should return your stool to a lighter shade of brown. Green: Green stools are generally the result of bile in your stool that is moving through your intestines too quickly and isn’t able to go through chemical changes to darken your stool. Some may experience this if they have diarrhea. You can also have greener stool if you eating a lot of green vegetables. Yellow: Infection with giardia lamblia (a parasite) produces a characteristic yellow diarrhea. Gallbladder dysfunction leading the the improper handling of bile can also cause yellow stool. Pancreatic disease which can result in too much undigested fat in your stool, may cause your stool to have a yellow appearance. Often it will also have ‘greasy’ appearance and can be quite malodorous. Clay/Grey: This can happen if there is little or no bile in the stool, or the flow of bile is blocked. Liver disease, gallstones/gallbladder disease, and a pancreatic tumor blockage are all reasons stool could have this appearance. The change of stool color to gray or clay typically occurs gradually as these medical conditions progress relatively slowly and stool becomes pale over time. If your stool is difficult to pass, infrequent, and you have straining, or discomfort, your stool is too hard. Often times stool will be smaller in pieces, dry and/or have cracking. This can be a sign of dehydration, not enough fiber, lack of exercise, food sensitivities, stress, structural misalignment, influence from medication, and changes in daily routine are some common reasons for harder stool. If your stool doesn’t hold its shape or is watery (diarrhea) this is considered to be loose. A variety of things can result is loose stool: infection, food poisoning, food sensitivities, stress, drinking too much alcohol, and hormonal fluctuations can all result in stool that is loose. There are a varying opinions of how often someone should have a bowel movement. Most sources say that moving your bowels daily to 3 times a week is normal. I tend to disagree with this. 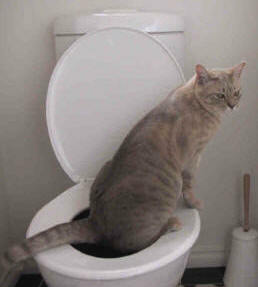 Generally speaking, I think that a healthy digestive system is reflected in having 1-3 bowel movements a day. If you are eating then you should expel waste by products often. If there is a straining, rabbit pellets, thinly shaped stool or it doesn’t feel like a full evacuation, I consider this a sign of constipation. Also, having undigested food in your stool is an indication that perhaps you aren’t chewing your food well enough, and/or your body isn’t breaking down your food properly. Having a small amount of mucous in your stool is ok, but a lot of mucous in your stool can be an indication of inflammation in your digestive system. This entry was posted in Poisoning and tagged bacterial infection, digestive system, immune system, secondary infection by Eldon J. Brown. Bookmark the permalink.